I describe this pattern as “Nada Boots”, because they are not really boots, but they will turn your favorite pair of heels into boots lickity split! 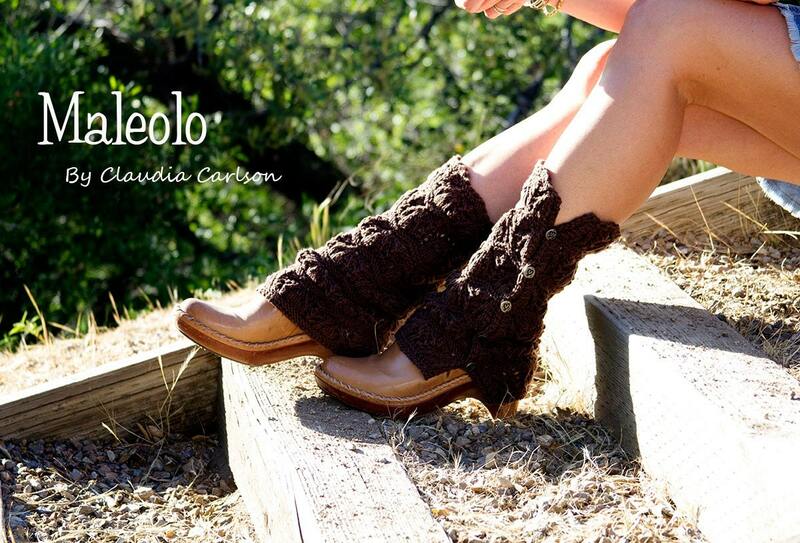 And they’re adorable boots at that! 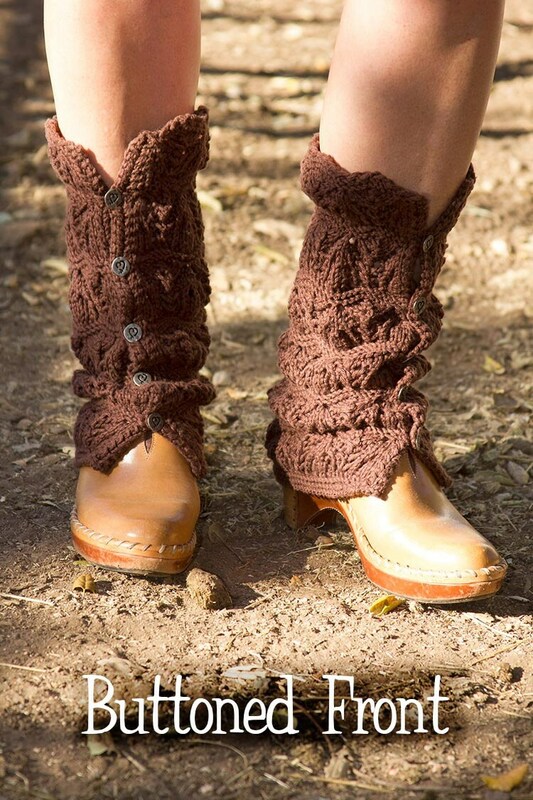 They also double as boot cuffs, to be worn with “traditional” boots. With many wearing variations, you’re sure to find just the right look! I always try to incorporate a little known cast on, and bind off in all my patterns. These both are unique, easy to master and beautifully add to the garment is a special way. The photo tutorial works you through step-by-step. The lace pattern is “chunky” and supplies just the right combination between texture and drape. Pattern is professionally formatted with 10 pages, 1 chart, and a photo tutorial for the unique cast on. All instructions are fully written out, and charted in a large, clear, easy-to-read chart. There is a full stitch glossary included so you don’t have to pull out your books looking for a definition, and photos of all the wearing variations.